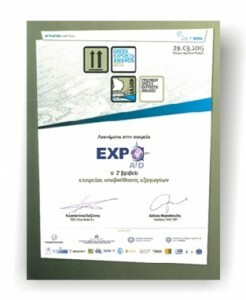 We proudly announce that we have received the second prize in the category “Export Enabling Companies”, in the context of “Greek Exports Awards 2013”. This constitutes a significant recognition and reward of the innovative approaches our company uses to develop the export activities of its partner producers in the 3 years of its operation. 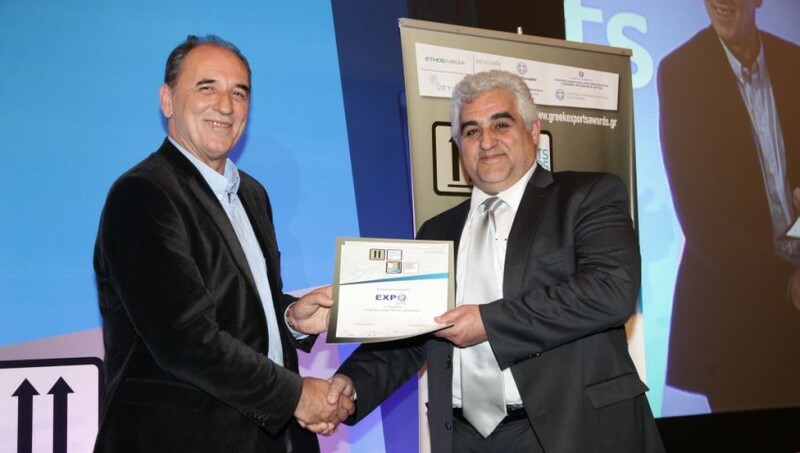 The Greek Exports Awards 2013 were held at the Divani Apollon Palace & Spa in Kavouri, in the context of the organization of Greek Exports Forum 2013, by the Union of Employees of Diplomatic Economic & Commercial Affairs, in partnership with the Ethos Media SA. In the category “export enabling companies”, we have achieved the second place following National Bank of Greece, while the third place was awarded the EULER HERMES EMPORIKI. The take-over of the export department of the partner producer with the form of outsourcing. The creation of synergies between the producers that create a multiplication factor in terms of cost reduction and sales increase. We respect our partner producers and we evaluate them based on their potential not on their size. We formulate our approach with them hand in hand based on their capabilities and competencies working on every part of their strategy – from product label to contract design and promotion at retail level. We would like to thank our partners as this award constitutes a significant recognition which is based on the trust and faith show to us on everyday basis, enabling our work and our expansion in the international markets.